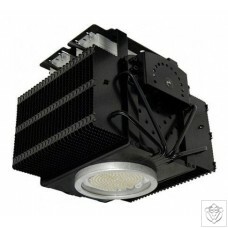 The Series 400+ Dimmable Spectrum King is for light hungry plants and comparable to a 1000w HPS. Spectrum King LED Grow Lights are designed and manufactured by experienced LED professionals who have been creating custom industrial LED Lighting solutions for various industries, including medical, government, military, commercial, and agriculture for over 10 Years. And best of all – WE GROW! So we truly understand the value of efficient lighting from a grower’s perspective and what is required to produce an outstanding harvest. Spectrum King LED Grow Lights are designed to mimic natural outdoor sunlight. Why change what Mother Nature has already perfected over millions of years? Sunlight includes many spectrums, both visible and ones we cannot see; even traditional HPS lights put out a high band of nano-meter wavelengths (color spectrums) which is why it has been successful in the agriculture application today. LED grow lights that provide only 2, 3, 4 even 8 colors will never come close to reproducing the effects of sunlight. Spectrum King LED Grow lights consistently produce spectrums from 380-779nm. This means that not only virtually every visible color is present in the light, but also ones you can’t see. The Spectrum King Series 300 and Series 400 LED Grow Lights truly mimic sunlight and traditional HPS lamps with matching intensities of over 100,000Lux. We all know that blue and red are the wavelengths that dominate the “active photosynthesis” portion of the spectrum, so you might think that providing these colors alone might circumvent the rules of nature. But there is a problem: Productive plants need to photo-respirate. When plants become heated (by intense yellow light) the stomata on the leaf surfaces open up and allow photo-respiration to occur. When photo-respiration takes place the plants go into “work out” mode and want to consume nutrients just like humans want to drink water. Traditional LED arrays only carry the spectrums that activate after the photo-respiration period takes place. This is the reason traditional LED lights sometimes finish cycles with immature plants that produce low yields. By supplying plants with only limited “beneficial” spectrums (pink light) from traditional LED arrays, you are essentially putting them into a permanent chill mode. Although this may produce healthy plants, they will not yield as much as plants under Spectrum King LED Grow Lights. While HPS lights require over 1,000 watts to produce the intensity needed for healthy plants, Spectrum King LED Grow lights do the same using only 450 watts. This allows growers to save on electricity and benefit from lower ambient temperatures — which translate to less A/C usage and expense. In a grow room, cleanliness is an important factor. Unfortunately, at times gardens can be infested with bugs and other insects — even soil and dust. Many of today’s LED lights have fans for cooling. But cooling fans also have a down side: bugs get sucked in and so does moisture from humidifiers and misters. The LEDs get covered with sticky “garbage” and over time lose cooling and even light performance. Spectrum King LED Grow Lights are IP65 rated, which means they are completely sealed from dust and moisture and can even be washed with a garden hose! Spectrum King LED makes top quality grow lights for the modern power conscious gardener. All of our 400 Series lights are made to cover your typical 4’x4′ trays that are commonly used in indoor gardens. Our 300 Series are meant for 3’x3′ areas. Please note that they actually put out a round light footprint but the quality light is concentrated on your standard 4’x4′ tray for the 400 Series and 3’x3′ tray for the 300 Series. The logic behind our lights was quite simple: the sun works best so why don’t we just model our light after the sun? It can be shocking to many gardeners who are firmly entrenched in the, “you need a metal halide for veg and high pressure sodium for flower” schools of thought. We know that may be shocking to some but do you have to change the sun when you grow plants outdoors? Is there a blue spectrum sun and then you can switch for a red spectrum sun? Obviously the answer to both of those questions is a resounding NO! Plants have evolved with full spectrum light for millions if not billions of years (there are other opinions on this but I’m sticking with the majority view) and it comes down to seasons, location (longitude, latitude, altitude, climate etc) and available water, rainfall and nutrients. Well we know that indoor gardeners have full control over all of those variables and now have a better more energy efficient full spectrum lighting option with Spectrum King LED lights. Give your plants full spectrum intense light and they’ll pay you back. Now with that being said let’s get back to coverages and how to hang our lights! 4’x4′ area @ 18″ above the canopy for normal plants, up to 24″ above for sensitive plants. It can cover an 8’x8′ area in veg @ 5′ above the canopy. 5’x5′ area @ 12″ above the canopy for normal plants, up to 18″ above the plants for sensitive strains. It can cover an 8’x8′ area in veg @ 3.5′ above the canopy. Your standard rope ratchet rated at 40lbs will easily hold our lights which weigh from 21 to 26lbs depending upon the model and options chosen with an “S” hook is all you need. Please note that most rope ratchets have carabiners too small to fit our lights and that is why we recommend an “S” hook as it makes it so much easier to hang the light. You can use the additional bracket to hang the light at the angle of your choice from a fixed position or just use the center ring to hang the light and be able to adjust the lights height when needed. What is the difference between the 300 and 400 Series? The 300 Series is made for sensitive plants and smaller grow sites and is comparable to a 600w HPS while the 400 Series is for light hungry plants and comparable to a 1000w HPS. Does the 90 degree reflector cover a larger area than the 60 degree reflector? Actually they cover the same area in flower for the most part. It’s the distance between the light and the canopy that is different (36″ above for the 60 & 18″ above for the 90) and the penetration. The 60 is meant for taller plants and deeper penetration, think 6′ tall plants or even taller. The 90 is meant for what most people do: 2.5′ to 4.5′ tall plants. What does full spectrum light mean? Full spectrum light closely resembles natural sunlight which plants have been accustomed to for billions of years. Plants thrive when given the quality and intensity of light which they’ve become accustomed to and have naturally adapted to. Can I add a dimmer to my light myself? No! The manual dimmer option requires different drivers and parts and is a factory installed unit. You can’t buy a product off the shelf and plug it into our lights, it just won’t work. How much heat do your lights produce? 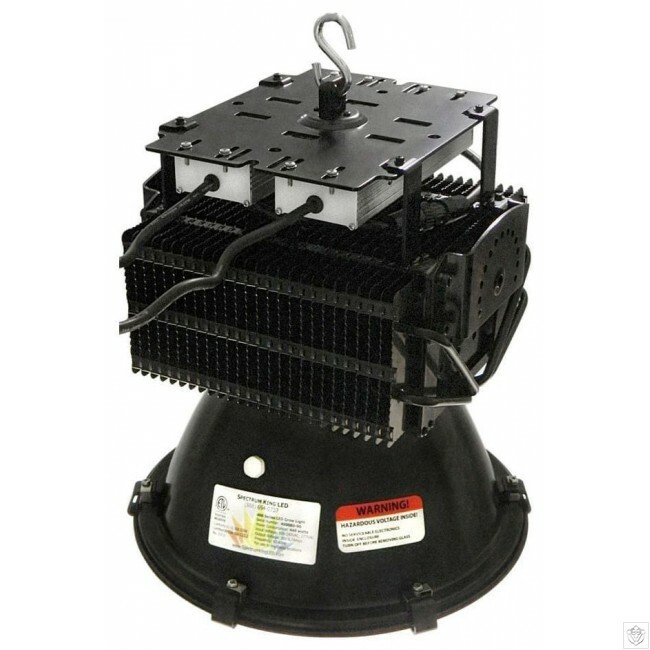 Our 400 Series lights produce about 1300 btu’s of heat. The typical 1000w HPS vented hood produces over 3000 btu’s, exposed bulbs produce more and the Gavita DE1150 when turned up all the way produces in the neighborhood of 7000 btu’s for comparison. How often do I need to change the bulb? IP65 is an international standard which means that a fixture is safe for use in wet or humid environments. Our lights can be sprayed with a garden hose while on and will just keep on working without any problems. In fact we have one of the few lights that are actually certified safe to work in wet and/or humid environments like grow rooms and greenhouses.